Britain’s all-time most successful distance runner claims he was racially abused at an airport in Germany. But Germany’s federal police denies Farah suffered any discrimination – and says it was all down to a standard security check. A four-time Olympic gold medalist claims he was racially harassed at an airport in Germany – but it all may be down to a simple misunderstanding. Mo Farah, Britain’s all-time most successful distance runner, travelled through Munich Airport on Monday as part of his journey to Ethiopia to prepare for the upcoming London marathon on April 22. According to Press Association Sport, Farah’s spokesperson said the athlete suffered a “racially motivated” altercation with a law enforcement officer at the airport. It is unclear what exactly the altercation was, but according to Munich police, it was all down to a standard passenger security check. Farah published an Instagram Live video after the ordeal, but there is no obvious racial abuse included in the clip. The video shows Farah protest when an officer appears to nudge him toward the airport gate, but it is unclear if, or when, the 34-year-old was discriminated against. Business Insider contacted Munich Airport and the Germany Federal Police for clarity. “On the way to his flight Sir Mo Farah had to pass the security check in Terminal 2 at Munich Airport. Security checks at Munich Airport are carried out by a private security company on behalf of the State of Bavaria. It seemed that Sir Mo Farah did not agree with this passenger security check performed on him and blamed this check a racist measure. Obviously he went very upset. As Sir Mo Farah didn’t want to leave the security check point, security staff asked the Federal Police officer seen in the video for support. In cooperation with the Security staff’s supervisor the officer tried to explain this routine measure to Sir Mo Farah and to calm him down. Unfortunately that didn’t work. Then the officer asked him to leave the security check point because he was blocking the area. Sir Mo Farah got more and more upset. He continued arguing and blaming security staff and the Federal Police Officer being racists. 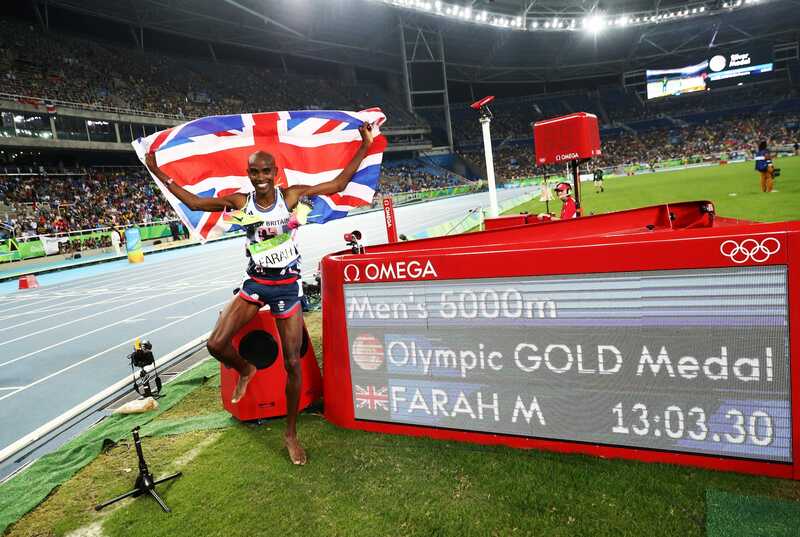 At that point Sir Mo Farah started filming the sensible security check area what is not allowed. The officer asked him to stop immediately recording. As Sir Mo Farah ignored this Police order the officer asked him to leave the security control area and proceed to his departure gate. Mr. Farah persistently ignored this second Police order so that the Officer slightly touched him and tried to direct him away from the security check area to the shopping and gate section what you can see in the video.